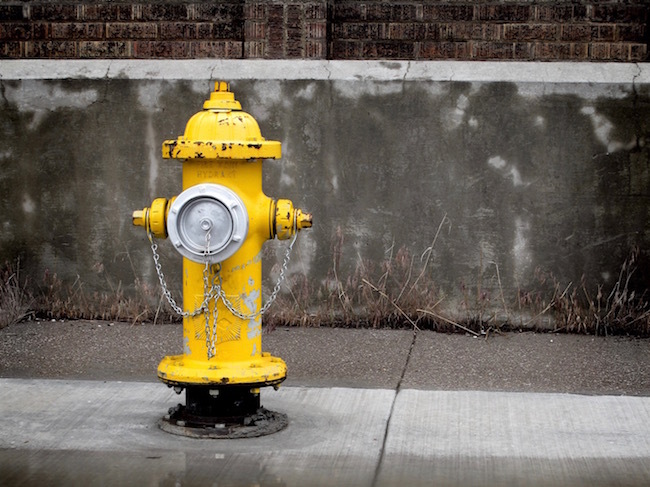 You may have noticed that not all fire hydrants are the same colour. Their appearance is not arbitrary, in fact it’s part of an intentional colour coding system. Municipalities use it to inform firefighters of the water capacity available at each hydrant location. The different colours indicate gallons per minute or GPMs. The National Fire Protection Agency (NFPA) established NFPA Code 291, enabling firefighters to follow one standard system across the country. The higher the GPMs, the more water there is to fight fires with. But this system can get confusing. If you come across a two-toned fire hydrant, the cap colour signals the unit’s GPM and the body relays the ownership and/or usages of the water. For instance, white bodies mean the hydrant is part of the public water system, yellow bodies are for private hydrants connected to public water and violet bodies signify water that comes from a pond or lake. A fire hydrant painted black means the unit is out of operation. To further complicate things, some regions throughout the country have devised unique colour codes for their specific requirements. So you’d best get permission before painting your neighborhood fire hydrant to look like Super Mario or Uncle Sam.